Eli LUNDY [Parents] 1, 2 was born about 1790 in Of, Sussex, Nj. He married Abigail DICKERSON. Abigail DICKERSON.Abigail married Eli LUNDY. Jacob LUNDY [Parents] 1 was born on 30 Jul 1751 in Hardwick, Sussex, New Jersey. He died on 22 Mar 1806 in , , New Jersey. He was buried in Hardwick Mm, Sussex, New Jersey. He married Sarah SHOTWELL on 25 Sep 1783 in Rahway, NJ. Sarah SHOTWELL.Sarah married Jacob LUNDY on 25 Sep 1783 in Rahway, NJ. Christian SCHMUCK.Christian married Mary LUNDY in 1775 in Independence, Warren Co., NJ. Mary LUNDY [Parents] 1 was born on 24 Dec 1753 in Hardwick, Sussex, New Jersey. She died on 6 May 1806 in Hardwick, Sussex, Nj. She was buried in Friend's Burying, Hardwick, Sussex, Nj. She married Christian SCHMUCK in 1775 in Independence, Warren Co., NJ. John DENNIS.John married Deborah LUNDY on 12 Dec 1781 in Warren Co., NJ. Deborah LUNDY [Parents] 1 was born on 22 Sep 1759 in Hardwick, Sussex, New Jersey. She died in , , Nj. She married John DENNIS on 12 Dec 1781 in Warren Co., NJ. Hugh Cuyler JENKINS [Parents] [image] was born on 16 Jun 1886 in Clyde. He died on 3 Jul 1958 in Rochester. He married Laura Fidelia WILCOX on 21 Jun 1913 in Asbury Methodist Church, Rochester NY. Laura Fidelia WILCOX [Parents] was born on 5 Sep 1886 in Rochester. She died on 26 Nov 1967 in California. She married Hugh Cuyler JENKINS on 21 Jun 1913 in Asbury Methodist Church, Rochester NY. M i Robert Hugh JENKINS was born on 6 Feb 1918. He died in 1987. William Sidney JENKINS [Parents] was born on 28 May 1901. He married Lucie B. RICE on 11 Jul 1921. Lucie B. RICE was born on 13 Nov 1898. She died on 4 Mar 1987. She married William Sidney JENKINS on 11 Jul 1921. Christian (Christopher) BROCKMYER was born in 1810. He died in 1855. He married Catherine GROESCUP. Catherine GROESCUP.Catherine married Christian (Christopher) BROCKMYER. M i Henry BROCKMYER was born in 1847. He died in 1919. F ii Katherine BROCKMYER was born in 1851. She died in 1923. M iii Christopher BROCKMYER was born in Dec 1852. He died on 10 Nov 1924. Henry BROCKMYER [Parents] was born in 1847. He died in 1919. He was buried in St. John's Catholic Cemetery, Clyde, NY. He married Mary E. in 1871. Mary E. was born in 1852. She died in 1933. She was buried in St. John's Catholic Cemetery, Clyde, NY. She married Henry BROCKMYER in 1871. M i William H. BROCKMYER was born in 1868. He died in 1915. He was buried in St. John's Catholic Cemetery, Clyde, NY. F ii Joanne BROCKMYER was born in 1871. F iii Katherine A. BROCKMYER was born in 1873. She died in 1962. M iv John T. BROCKMYER was born in 1875. He died in 1892. He was buried in St. John's Catholic Cemetery, Clyde, NY. M v Dr. Frances (Frank) Augustus BROCKMYER was born on 31 Aug 1877. F vi Mary Ellen Mayme BROCKMYER was born on 27 Jul 1889. 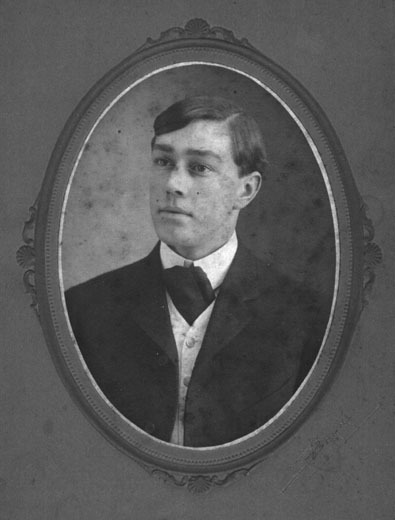 Herbert GREENE.Herbert married Mary Ellen Mayme BROCKMYER on 22 Sep 1908. Mary Ellen Mayme BROCKMYER [Parents] was born on 27 Jul 1889. She married Herbert GREENE on 22 Sep 1908. William Ethan MEADE [Parents] was born in 1863. He died in 1931. He was buried in Maple Grove Cemetery, Clyde, NY. He married Clara STRATTON in 1885. Clara STRATTON was born in 1865. She died in 1924. She married William Ethan MEADE in 1885. M i Gilbert William MEADE was born in 1893. He died on 19 Sep 1953.